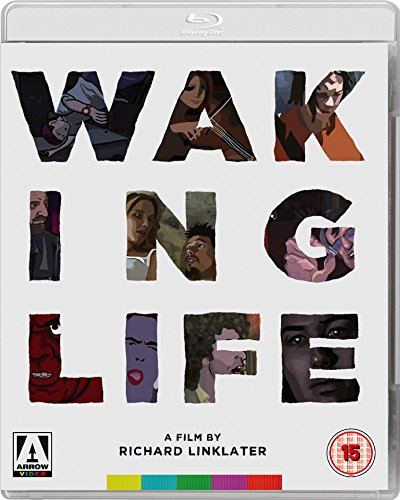 Richard Linklater writes, directs and stars in this American rotoscoped (live action footage traced and turned into animation) drama, made up of a series of meditations on various philosophical topics voiced by a disparate group of young Americans. The film follows an unnamed character (Wiley Wiggins) as he experiences a series of dreams within dreams and encounters a variety of different people, discussing many complex subjects including free will, metaphysics and the meaning of life. The cast also includes Ethan Hawke, Julie Delpy, Adam Goldberg and Steven Soderbergh.